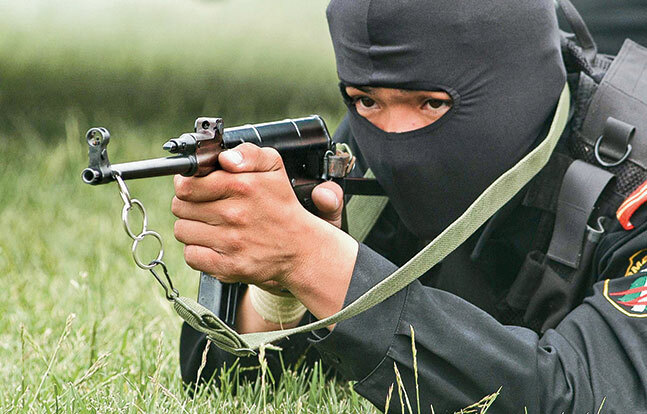 A behind-the-scenes look at China's military and police CQB powerhouses! Up until the mid-1960s, submachine guns produced in China were copies of foreign designs, such as the 7.62x25mm Type 50 and Type 54, which were licensed copies of the Soviet PPSh-41 and PPS-43, respectively. However, following the political split between the post-Stalin Soviet Union and Maoist China, the latter was left on its own to develop new small arms. The result was a series of 7.62x25mm submachine guns that represented a unique and in some cases very capable Sino-style take on this classic weapon system. This era was represented by the Type 64, Type 79 and Type 85 series of submachine guns. 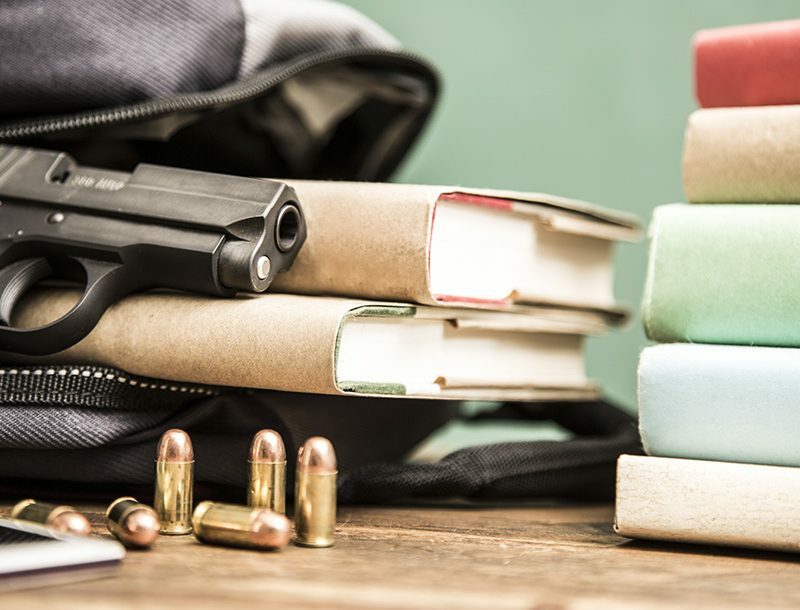 In the mid-1980s, the People’s Liberation Army (PLA) decided to follow the international trend and initiated a research and development program with the purpose of switching to small-caliber, high-velocity ammunition. By 1987, the PLA had selected the 5.8x42mm as the future caliber for its infantry small arms. Following further development, in the late 1990s the PLA adopted a new family of infantry small arms, known collectively as the Type 95 and firing 5.8x42mm ammunition of domestic design. After this changeover, the PLA decided to switch its sidearms to the same bore diameter and developed a new pistol/SMG round that became known as the 5.8x21mm DAP92. This round has a bottlenecked case 21mm long and fires a pointed bullet with a steel core. It’s somewhat similar in concept to the Belgian 5.7x28mm SS190 round, although the Chinese ammunition appears to have less power and range. 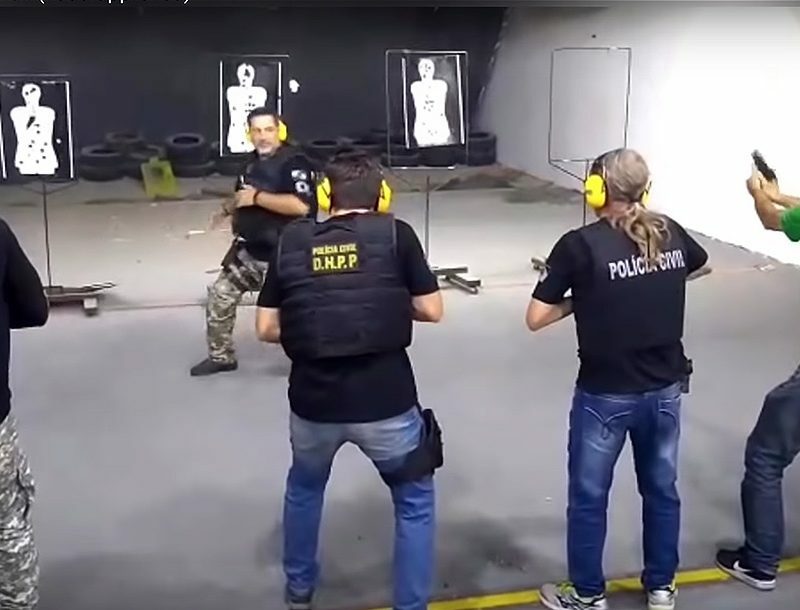 At the same time, the People’s Armed Police (PAP) decided to switch its sidearms and future submachine guns to a domestic version of the 9x19mm Luger round, which is known in Chinese service as the 9x19mm DAP92. Since then, most SMGs designed in China have appeared in two chamberings—one in 5.8x21mm to suit the Army and another in 9mm to suit the domestic police and foreign customers. Examples of this new era of modern SMG design include the Type 05 and the Type 06. Read on to learn more about each individual weapon system, including its design, specifications and intended roles. Despite an emerging new class of assault rifles, submachine guns were still required for some specialized roles. The first such role was special operations, which usually require stealth. 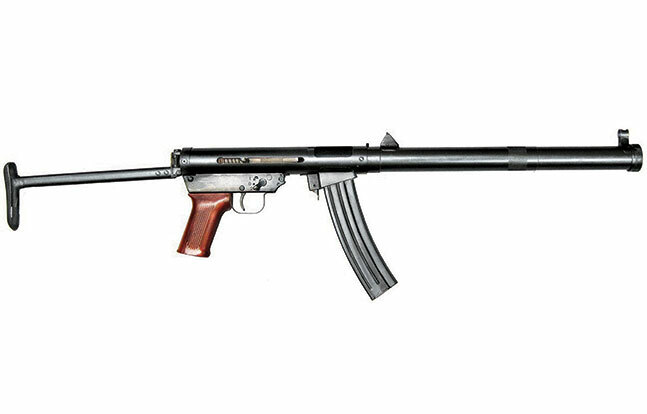 As a result, in 1964 the People’s Liberation Army adopted its first indigenous submachine gun, the 7.62x25mm Type 64. This is a simple blowback-operated weapon that fires from a closed bolt in semi- and full-automatic modes. It features a solid, machined-steel receiver, a flip-up rear sight set for 100 and 200 meters and a downward-folding shoulder stock. The safety lever is similar to that of the Kalashnikov AK, but it has only two settings; a separate firing mode selector is located on the left side of the gun. Equipped with an integral sound suppressor that encloses a perforated barrel, the Type 64 fires specially designed 7.62x25mm Type 64 ammunition that was based on the 7.62x25mm Tokarev case, but loaded with relatively long and pointed bullets with steel and lead cores. The resulting cartridge was subsonic, thus making it well suited for suppressor use. In case of an emergency, the Type 64 could be used with standard supersonic 7.62x25mm Type 51 ammunition, but the service life of the suppressor degrades noticeably in this case. The next weapon of this class was the 7.62x25mm Type 79 submachine gun. It was originally intended for the “jungle warfare” role, so it was designed to be unusually light for its power, making it easy to carry during long patrols in deep jungles. To achieve this lighter weight, Chinese designers used an action more commonly associated with much more powerful assault rifles. The Type 79 uses a gas-operated, rotary bolt action with a short-stroke gas piston located above the barrel. The bolt group is more or less an adaptation of that of the Type 56 (AK) assault rifle. The receiver is made from steel stampings. The selector/safety switch is also patterned after the Type 56 rifle, and allows for both semi- and full-auto fire. An extended magazine housing serves as a forward grip, as the forend is very small. Its box magazines hold only 20 rounds of ammunition. The shoulder stock is made from stamped steel and folds up and forward when not in use. The standard iron sights have settings for 100 and 200 meters. The Type 79, which was developed between 1971 and 1979, entered mass production around 1982 and was manufactured in significant numbers. It can still be seen in the hands of People’s Armed Police operators, often outfitted with modern accessories such as red-dot sights or tactical flashlights. According to Chinese sources, the Type 79 was a failure in its original role of a “jungle” weapon due to its poor reliability, excessive rate of fire and limited magazine capacity. 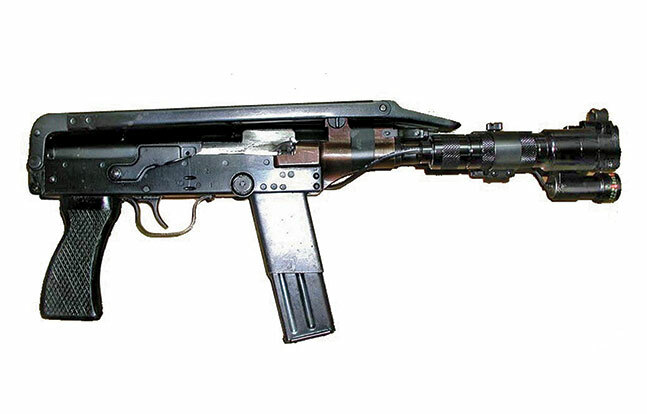 As a result, today the Type 79 submachine gun is used mostly as a police weapon in urban environments. Due to problems inherent in earlier guns, the PLA requested a new weapon. Designed between 1979 and 1983, it was type-classified in 1985 as the Type 85 and approved for mass production around 1987. 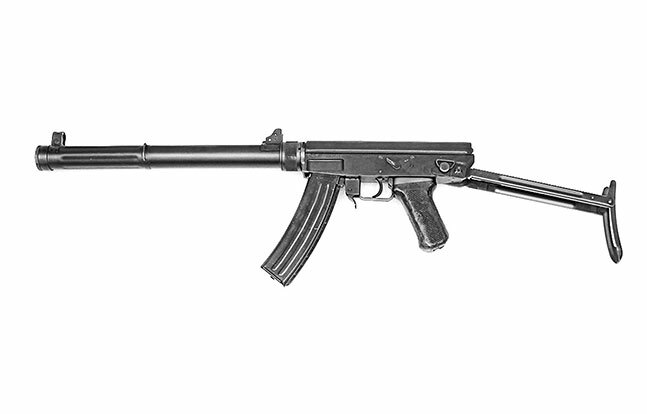 This was a simple and straightforward 7.62x25mm design produced with extensive use of stamped and formed steel and welding, thus dispensing with the complicated gas-operated action of the Type 79 and the expensive machined receiver of Type 64. 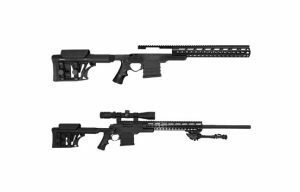 It was developed in two separate versions—standard and suppressed—with different barrels. The Type 85 is a simple blowback-operated weapon that fires from an open bolt. It uses a tubular steel receiver. The safety/selector lever is located on the right side, above the triggerguard, and allows for semi- and full-auto fire. The suppressed version has gas ports drilled into the front half of the barrel, which is covered by an integral, multi-baffle suppressor made from steel and containing 10 removable baffles. The gun is fed using the same 30-round box magazines as the Type 64. The shoulder stock is made from steel and folds to the right when not in use. The suppressed version is optimized for special 7.62x25mm Type 64 ammunition with a heavy, subsonic bullet, but it can also fire standard 7.62x25mm Type 51 ammunition, though it’ll be louder and the sound suppressor baffles will subsequently have a shorter service life. There has been much development and field-testing of submachine guns carried out by various state- and privately owned factories, and often externally similar prototypes have appeared in Chinese press under various designations. One of the new designs can be identified as a service weapon—the 5.8x21mm Type 05, which is in use by the PLA. The Type 05 is a blowback-operated weapon that fires from an open bolt. 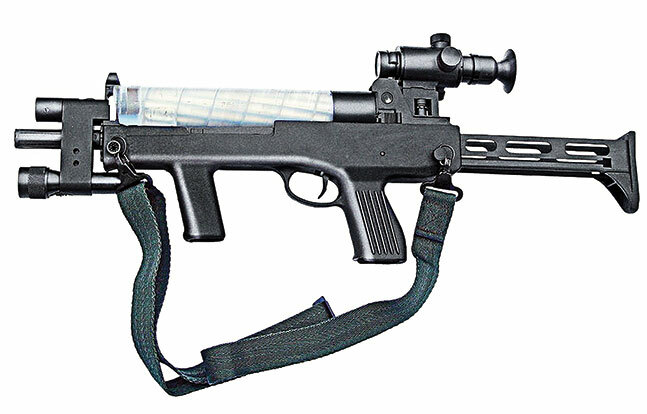 The gun has a bullpup configuration, with a compact aluminum receiver and separate polymer shoulder stock/housing and pistol grip/trigger units. The safety/selector switch is located above the pistol grip, and allows for semi- and full-auto. This bullpup only ejects to the right side, so firing from the left shoulder is impossible, or at least hazardous to the shooter. The Type 05 comes with a flip-up, aperture-type rear sight and a protected front post sight, along with a proprietary scope mount on top of the carrying handle. It can also be equipped with a detachable sound suppressor. The Type 05 feeds from a proprietary, four-row, box magazine that hold 50 rounds of 5.8x21mm ammunition. It is also available in 9x19mm, with it believed that the 5.8x21mm version is intended for domestic usage and the 9mm for domestic police usage and export sales. The 9x19mm Type 06 is in use by certain SWAT-like units of the PAP. It is also blowback operated and uses a telescoping bolt that wraps around the barrel in its forward position. The receiver is made from polymer and is open at the top; two pistol grips are integral to the receiver. The submachine gun feeds from a 50-round helical magazine loaded on top of the weapon that is made from polymer and is similar in design to U.S. Calico magazines. The Type 06 is fitted with open sights; the rear sight is of the aperture type and has three range settings for 50, 100 and 150 meters. The gun also has a mounting point for a red dot or night sight just behind the rear sight block, which requires a proprietary scope mount with a high base. 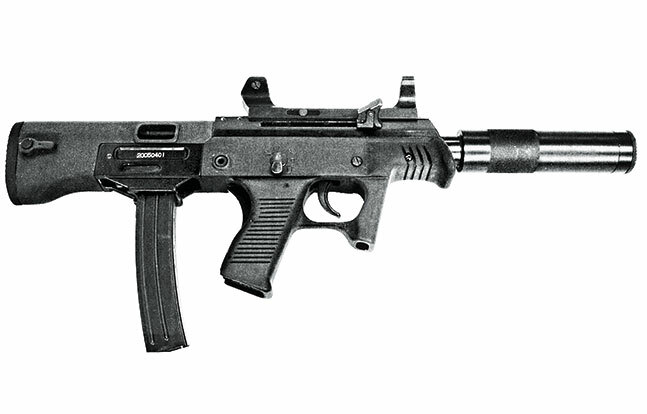 The muzzle of the weapon is threaded to accept a sound suppressor. The shoulder stock, also made from polymer, is of the telescoping type. As with the Type 05, the Type 06 is also offered in 5.8x21mm as well as 9x19mm, with the 5.8x21mm version intended for domestic usage and the 9mm for domestic police usage and export sales.